As you get Christmas decorations down from the attic and begin pulling scarves and sweaters from their winter storage, you might be forgetting to prepare one important thing: your vehicle. Arkansas doesn’t typically experience the same harsh winter weather as more northern states. 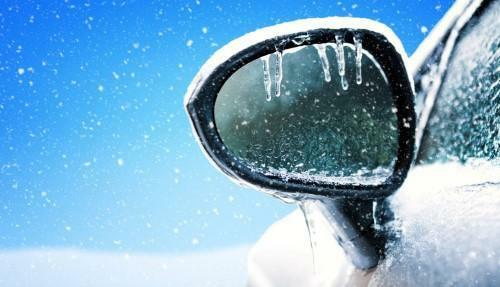 But this can lure people into a false sense of security when it comes to driving in the coming cold months. Because extreme weather is less common, Arkansans are more likely to be caught unprepared when it does happen. Sudden snow or ice has been known to leave Arkansas drivers stranded on highways and interstates for hours, even overnight. Luckily, it’s simple and relatively inexpensive to get your car ready to anything December, January, or February might send your way – and you can take these steps right now. 1. Upgrade your car emergency kit. To be ready for anything when cooler temps hit, add a pair of gloves, blanket, flashlight (with fresh batteries), snack bars, jumper cables, first aid kit, and an ice scraper for your frosty windows. Pro tip: buy a scraper that includes a built-in mitten on the handle to keep your fingers from freezing! 2. How are your windshield wipers doing? Experts say you should replace your wiper blades once a year, so why not do it now? Consider replacing your usual wiper fluid, which freezes quickly upon contact with cold windshields in the winter, with one made specifically for winter weather. It can even help loosen ice and snow from your windshield. 3. Change your oil. Whether you do it yourself or take your car to a mechanic, let the changing weather be your reminder to do routine maintenance. You may need a different type of oil entirely for the winter months. In general, the colder the weather, the thinner the oil in your engine needs to be. 4. Check your antifreeze and coolant levels. As the name would suggest, “antifreeze” helps keep you car engine from freezing up when your toes do. Your car’s manual provides instructions for checking antifreeze levels. You can find kits to check your coolant mix at auto supply stores or larger grocery stores. 5. Check your tires – both air pressure and tread depth. Most people don’t need snow tires if they live in the southern states, but good tires are key to staying safe on the road when winter storms do blow through. You can check your tire pressure with a simple, inexpensive gauge. Your car manual will tell you the optimum pressure (called PSI, or pounds per square inch) for your particular vehicle. Most gas stations offer free air fill-up stations. To check your tire treads, use the “Lincoln test.” It’s easy: insert a penny into the tire tread with Lincoln’s head pointing down, toward the tire. If you can see all of Lincoln’s head, that means it’s time to replace your tires. Tread is important; it allows your car to “grip” the road, particularly in rainy or snowy conditions. Each year, people are injured in accidents where snow, ice, or other weather conditions played a role. If you were the victim in a car wreck, you may have legal rights to compensation and should speak with a personal injury lawyer about your potential case. The attorneys at Taylor King Law are ready to help. Call 1-800-227-9732 (CAR-WRECK) today for a no-obligation, free consultation. We’ll be on your side, by your side, even when the weather isn’t.